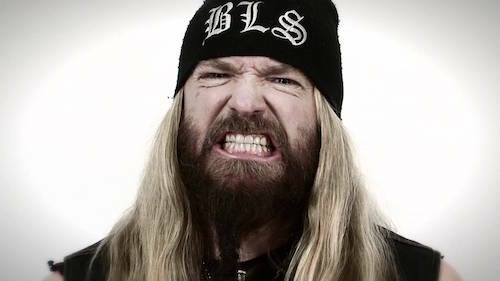 Black Label Society have been working on a new album and hope to release it next year, according to guitarist Zakk Wylde. Their last studio record was 2014’s Catacombs Of The Black Vatican but guitarist and vocalist Wylde says fans won’t have too long to wait before new material arrives. He tells Full Metal Jackie (via Loudwire), “In between the breaks and in between my nail appointments, the shaving of my legs – we’ve actually made another Black Label album. So that’ll be coming out in the new year. It was recently announced that Wylde will rejoin Ozzy Osbourne’s band with fellow guitarist Gus G – and Wylde can’t wait to hook up with his old mentor once again. Wylde’s Zakk Sabbath have several live shows planned across the US over the coming months where they’ll be joined by Beastmaker. Find a full list of tour dates below. In recent Zakk Sabbath news, the band released limited-edition EP, Live In Detroit, on June 16th via Southern Lord Recordings. Read more about this special release, here. One my favorite guitarist! Past and present work is awesome. Im confused. The article says he`s rejoining WITH gus g ? I thought it was in place of gus g. Personnally I`m not a Gus fan and wouldn`t be disapointed if he was replaced permanetly. Ozzy and Zakk belong together. My only guess is that they will both be participating in future recording projects and tours.